But it turns out there can be interactions between the DLM and configurations of your computer, web browser, anti-virus software, Internet connection, or something else which causes it not to work. So the first step is to try something different with those. However instead of trying to troubleshoot the problem, often it’s just easier to avoid the DLM altogether and download/install the applications you want without using it, so long as you have a reasonably good online connection. That’s where the direct download links (DDL) below come in… They link directly to the same original and authentic program installers stored on Adobe’s servers, but without having to going through any of their intermediary download managers or interfaces. 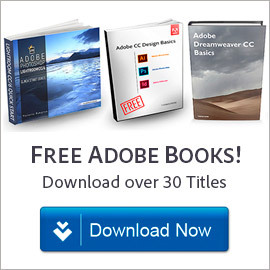 And as a side bonus, they will give you backup copies of the offline installers for the Adobe software you use and rely on every day, as well as allow you to download the software on one computer but install on another. You can just click on the DDL in your web browser (Chrome, Firefox, Safari, Edge, Opera, or IE) to down­load the applications, or you can use a DLM of your own choosing (installed locally on your machine). We’ve curated a collection of these hidden access points over the years and are providing them for you here: the direct links for cur­rent major releases of most Adobe prod­ucts in dozens of different languages… They are the free trial versions by default, but can be activated by logging in with your Adobe ID for all CC subscrip­tions and Creative Cloud member­ships, or by entering your valid purchased serial number for older perpetual licenses like CS6. These links are also useful for downloading an offline backup of your software, burning to disc/DVD, copying to thumb/flash USB drive, transferring and installing on a second computer, etc. Whatever you do, make sure to carefully follow the download instructions given on each of these pages, which are required in order to activate the direct links on Adobe’s download servers. Note this only applies to CC 2015 and older releases. For CC 2015.5 and later, all installers are complete product builds for each available version, so no patching or further update is required. For any Creative Suite (CS) application – or any other Adobe software including Acrobat, Lightroom, Elements, Captivate, and the rest – you’ll find direct links to the updates here. Any questions about the direct download links? Just ask below and we’ll get you answers fast! I am not not a total idiot techie, but I am not so good either. I recently purchased Acrobat Pro DC. I thought I had done what I needed to to download. I still can’t find it on my computer. It works fine for us, no problems on our end. Standalone Adobe Acrobat Pro DC updates can be downloaded here for Windows and here for Mac OS. For instance, the latest update from version 2015.0.0 to 2015.023.20053 (from 1/10/2017). 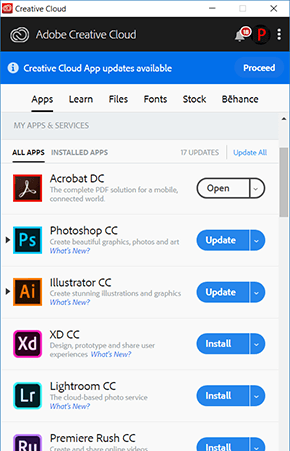 But where are the standalone updaters to update applications like Adobe Photoshop CC 2017 18.0.0 and Adobe Illustrator CC 2017 21.0.0 to newer versions? Thanks, yes, we have those Acrobat DC links given on our pages for CC 2015 updates for Windows and macOS. However, to date, we still only have the original CC 2017.0 release installers for about half the Creative Cloud tools… This is all Adobe has made available thus far; no standalone updaters have been released yet for CC 2017. But that will be changing, hopefully soon. As soon as more direct downloads become available, we will publish them here. I’m looking for flash player 10.1 – I need it for school, do you have a free download? Sure Tina, look for “Flash Player archives” on this page. Hi, I’m trying to update After Effects 13 to 13.2 but the AdobePatchInstaller.exe tells me that it fails and that Adobe Application Manager might be broken. How can I fix this? Hello Hannes, did you try googling the exact text of the error message? Often that will turn up a solution. 2. Downloading & installing the Adobe Cleaner Tool. 3. Running that tool to completely remove your indicated software. 5. Then reinstalling the product. That version is 15 (!) years old (from 2002) – and definitely not supported on modern operating systems, sorry. The links on this download site saved me huge amount of needless grief. My MacBook Pro internal drive crashed, had problems with internal drive cable – it was a nightmare already getting the problem sorted out, but I thought at least I’ll have a clean install of Mac Sierra — all prepped and ready for a no-brainer reinstall of my Adobe Photoshop … once I just get the Creative Cloud Desktop App downloaded. But no…… couldn’t install either Photoshop 17 or CC App – just quits during download – checked EVERYTHING – Sierra gatekeeper, firewalls, restarts, reading download error logs, reading blog posts, Adobe forums, notices, permissions you name it – cleaned out previous installs. I still love Photoshop and the subscription model helps those who can’t fork over hundreds and hundreds for a complete new App or even and a pricey upgrade. 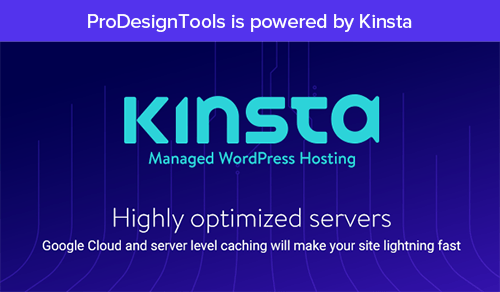 Now almost everyone is using the latest version or close to it, and quite a lot more people have access to P-Shop – but sometimes these technology roadblocks can make you physically ill by the time you fight with for a couple hours. 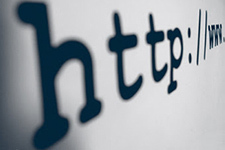 I never would have known there were direct download links – no intermediary program. I was already using up to date Photoshop on my MBP running Sierra after an OS upgrade last year. I could not believe I would end up spending hours on a Sunday afternoon struggling with the Adobe download site. Hi Jake, sorry to hear your tale of woe and that you had to go through that, but glad to hear that our CC direct download links could help ease your pain at least a little bit and save some grief! Hi, does anyone know how to fix a problem where nothing will install onto MAC OS Sierra? The creative cloud app cancels itself at 43% and photoshop (any direct link/access) freezes at 8% or 1% all other programs are freezing at different percentages too. I had 2 different adobe techs remotely access my computer this morning, both to no avail and have told me it will take 3-5 working days just for someone to email me! This is literally driving me crazy, can anyone help? Please? This is literally my life but the direct downloads are exactly the same! aghhhh 2 days… gone! Sorry to hear of all the difficulty. You didn’t say which version of CC you are trying to install, but note that on Mac OS v. 10.12 “Sierra” (only), you need to follow these additional steps to install Creative Cloud 2015 tools (and earlier). I purchased the cc photographer plan, and the creative cloud desktop app started to download but it stopped when reaching 42%. the same problem happened to me when I was trying to download the free trial of photoshop, but it reaches the 42% mark and then stopped with error code 201. Tried your links – result is EXACTLY the same – its impossible to update Lightroom 6.0 by ANY method, so given up on it – what an costly waste of money AND time! Back to Photoshop Elements then, grrrrrr!!! Hey Mark, what exactly are you trying to do? Update Lightroom release 6.0 to a later standalone (6.x) version? That’s easy, just use our complete set of updates for LR 6 and CC 2015 available for Windows or for macOS. The adobe application installer will NOT work – continually reporting error message and suggesting to try and install the installer again. Ok. Now given up. I suggest you try it and you will get the same result (I simply wanted version 6.5.1!). Useless advice from Adobe! I am going back to Photoshop Elements or capture one because Lightroom is a waste of time and no choice but to waste more money and get version 7!! 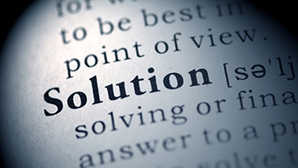 We can’t help you solve the problem without knowing that… And we likely will be able to get it resolved for you. 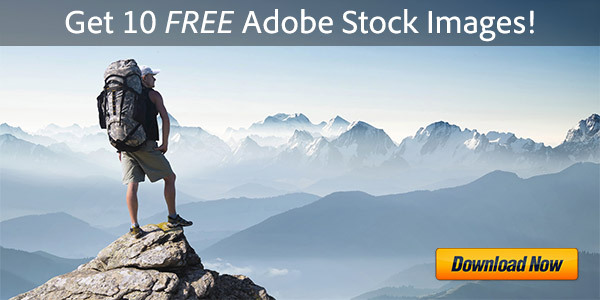 “We’ve curated a collection of these hidden access points over the years and are providing them for you here: the direct links for cur­rent releases of all major Adobe prod­ucts”. Current releases? For instance, they include Photoshop CC 2018 19.0.0, but not the latest Photoshop CC 2018 19.0.1. Where can be downloaded the truly offline current latest versions or updaters to them? Thanks. We are hopeful that they will nail down the process in a more timely fashion to deliver offline installers for all newer updates to the CC 2018.0 release. But for the meantime, what we have now in terms of relatively-current direct download links is the best it’s been over the past 18 months, and we are thankful for that. Thanks for the clarification. I wondered if they were at other page. I do very much appreciate your efforts and congratulate you for this great site. As said before, it would be very useful if you could also indicate the actual version numbers with build numbers for applications in the direct download link page. Keep up the great work! Thanks again and Merry Christmas! Thanks very much, you too! I bought a single app of Adobe XD and have been struggling to install on Windows 10. I’m using the direct link provided for the installation. The installation stops at 86% and its already 2 weeks and counting. Please help. Not sure James, because unfortunately there is no direct download link for Adobe XD at this time! We would suggest uninstalling whatever happened, then downloading & running Adobe’s Creative Cloud Cleaner Tool, then rebooting your system, and then trying the installation again. I am a bit confused as to why I can no longer use my paid-for Photoshop CC 17 that I have used for a while, ever since I did a trial for the 2018 version. I thought when the trial ends I would be able to go back to my old version and use it, as I am still paying for it. Help please. 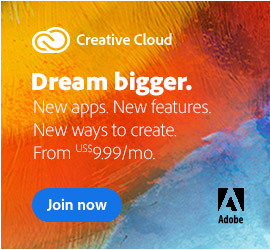 Yes, as a Creative Cloud member, you can use any version of the CC apps that you wish, even going back to CS6… You can even have and use multiple releases installed on the same computer if you like. You can access and download any version using the Creative Cloud direct links. If that doesn’t help, then please post back with more details about the exact issue or problem you’re having, including any error/message. 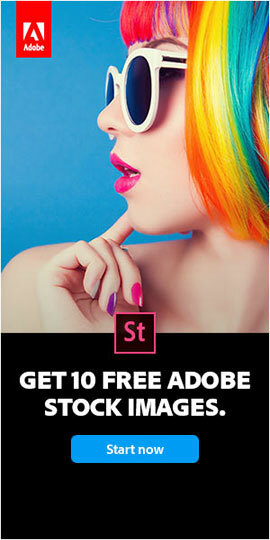 I have a subscription at work for CC ($52.99) and need to install Photoshop at home for some projects. I tried by logging into my cc with my work email, see the download links and also the subscription plan, but my photoshop download continuously stops at 83%. I have tried everything but the cleaner (because I am afraid that my old Photoshop 5 (which is something that I bought way back when – and is not affiliated with my CC subscription) will get corrupt and I won’t have anything! Please help!